. 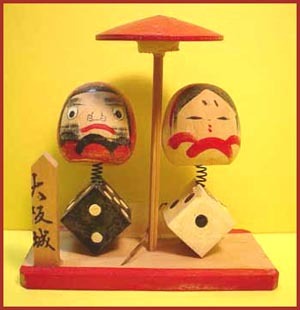 bakuchi 博打 gambling . 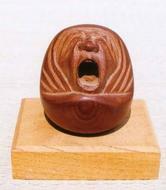 Rather unusual late Meiji (1910s) miniature Japanese bronze dice holder pendant in a shape of sitting Zen Buddhism patriarch Daruma wearing his monastic robe and holding an open book in his hand. 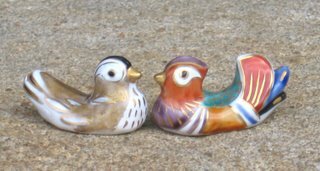 The material of the piece appears to be silver, golden wash on the face. A panel on the bottom slides to the side to reveal a space for holding tiny dice (not included). Ring on top for hanging, overall in excellent shape. Height with ring 5/8 inches. 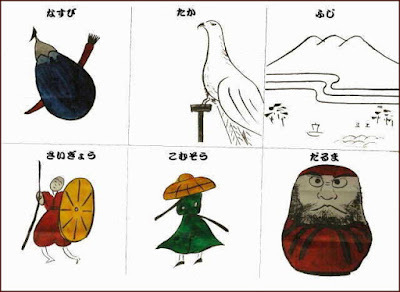 Daruma and Gambling, quite a combination ! 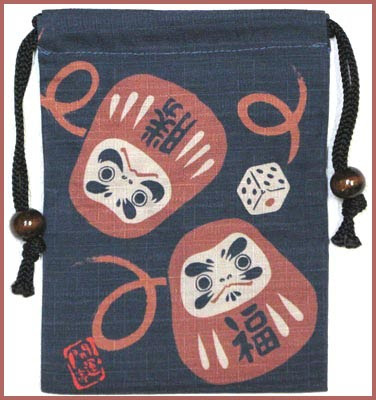 I have a small "gambling" box for a travelling loner of the Edo period. With hanafuda trump cards and a set of other gambling items, including Daruma chips, almost ready for Majongg. I need to take a photo of this. 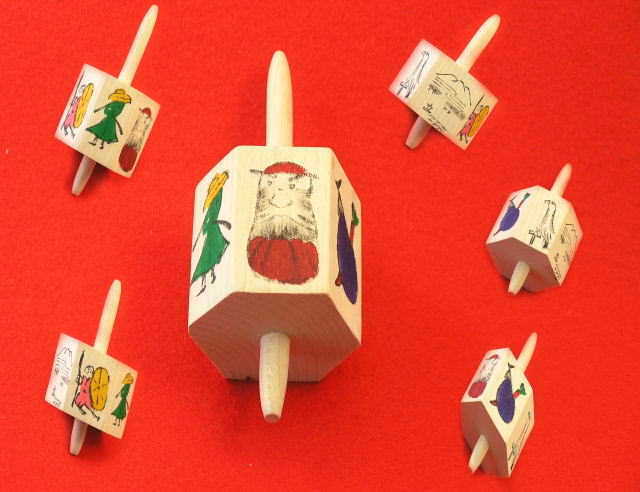 The top on the left has the images of symbols of good luck to make a divination. This is a thin cotton towel (tenugui). 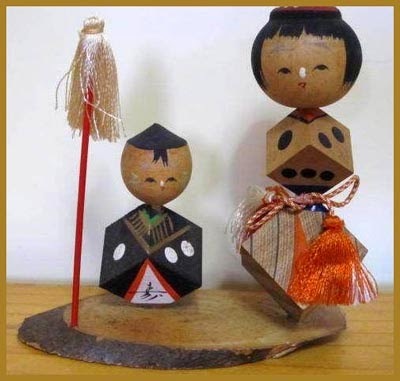 Two kokeshi from Osaka castle.
. Kokeshi Gallery - Facebook . Perfect for individual inspiration or as an after-dinner game with friends or family, Haikubes is a set of 63 word cubes that is attractive enough to display on the coffee table. 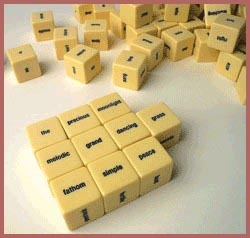 Simply roll the cubes and use the words that come up to create an expressive haiku. Includes two cubes with inspirational cues to help guide the haiku. lol Love it ... ! Gabi, keep up the good work. . . .